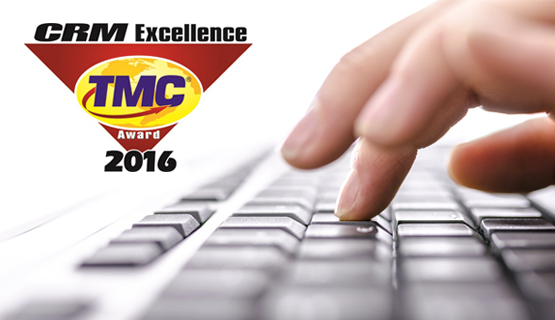 Britannica Digital Learning announced today that TMC, a global, integrated media company, has named Britannica as a recipient of a 2016 CRM Excellence Award, presented by CUSTOMER magazine. Once known as the publisher of printed reference works, Britannica has transformed itself in the past 25 years into a digital publisher and media company with a wide range of online and mobile solutions for preK-12 classrooms and universities, including the award-winning Britannica School resource. In its education business Britannica has turned to Salesforce to strengthen relationships with its growing customer base and to develop its business model for today’s digital customers. With the help of Salesforce, the company maintains a 95 percent customer renewal rate and is posting substantial year-on-year growth. We’re grateful for this recognition for our customer relations program, which we believe is unsurpassed in the field of education publishing. We could not have accomplished as much as we have as fast as we have without our partners at Salesforce! “The 17th Annual CRM Excellence Award honors Britannica Digital Learning for being a true CRM partner to its customers and clients,” said Rich Tehrani, TMC’s CEO and Group Editor-in-Chief. “Britannica has demonstrated to the editors of CUSTOMER magazine that they have improved the processes of their clients’ businesses by streamlining and facilitating the flow of information,” added Tehrani. Based on hard data, the CRM Excellence Awards rely on facts and statistics demonstrating the improvements that the winner’s product has made in a client’s business. Winners were chosen on the basis of their product or service’s ability to help extend and expand the customer relationship to become all encompassing, covering the entire enterprise and the entire lifetime of the customer. The 2016 CRM Excellence Award winners are highlighted in the June 2016 issue of CUSTOMER magazine. Britannica Digital Learning (BDL) provides reliable, high-quality solutions to strengthen student achievement and educators’ ability to teach to best practice. BDL experts produce curriculum-aligned resources for all ages from elementary school to college that make creative and purposeful use of technologies widely used in schools today. Products include Britannica School, Britannica Academic, Pathways: Science, ImageQuest, and e-books. BDL is a division of Encyclopædia Britannica, Inc., with headquarters in Chicago. At Britannica we think a lot about how we can help students and educators be strong digital citizens. Check out our Are You a Good Digital Citizen? checklist and see if you know how to use technology in a safe and sensible way—for study and play!